We’re excited to be able to share with you a selection of local, Edinburgh-based businesses in the maternity and new-family sector. We’ve asked their founders to give us their top tips for new parents. By reaching out to and researching these top providers, we hope to smooth your path towards discovering the best activities and support services for you and your little one. 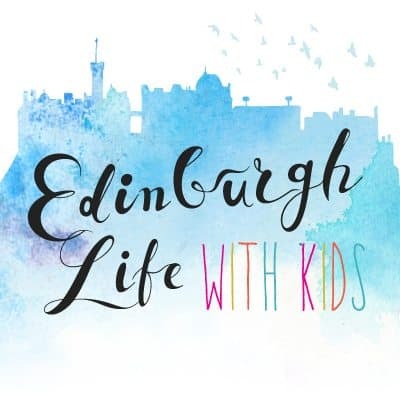 Edinburgh with Kids is a magazine style lifestyle blog. Primarily for parents who are looking for fresh ideas – although Laura welcomes everyone else too! The blog offers simple, honest, inspiring and down to earth advice. 1. Find a great coffee shop and stick with it. My local barista knows my name, my kids’ names, and actually half my life. When I was on maternity leave he would hold my baby whilst I drank my coffee or would colour with my older child. He was actually the sunshine in some of my days. 2. On that note, don’t be afraid to reach out and just start talking to someone. I met my best friend at a baby weigh in clinic. She told me how lonely she felt and I invited her to coffee. I now can’t imagine life with out her. If she hadn’t dared to share in that moment then who knows what would’ve happened. Just be honest with people and you’ll be surprised at how many are actually feeling the same way. 3. However I would also advocate avoiding people who don’t make you feel good. I refer to one person I met as the ‘judgey one’ – she was constantly making critical comments and just made me feel a bit rubbish. Life is definitely too short to keep people like that around. 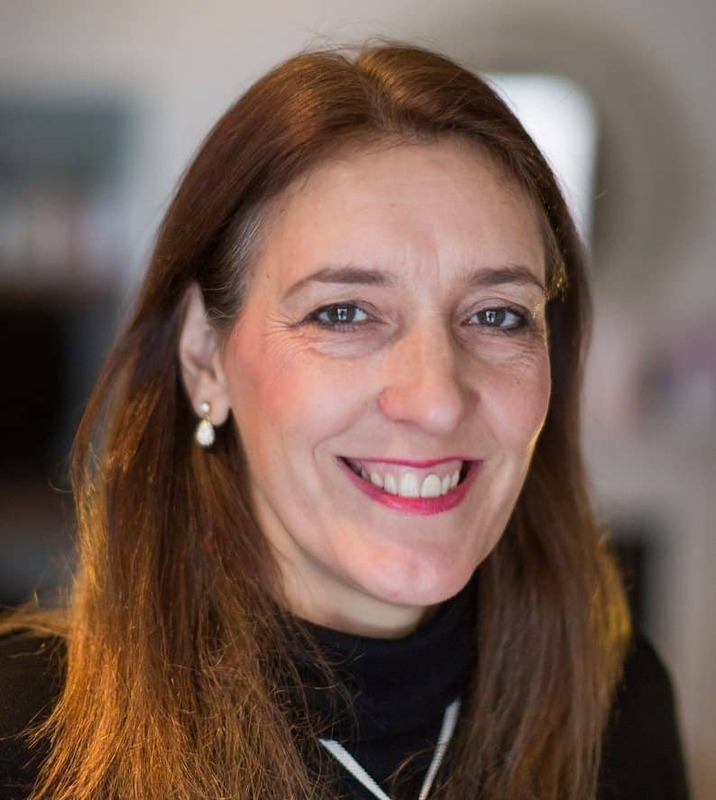 Anne Nash is passionate about teaching parents the wonderful skill of infant massage, helping you to build a connection that will last a lifetime with your child. She offers classes to parents with both tiny babies and older children. 1. Be aware of the importance of looking after your own physical and mental health. Only then can you look after your family’s. 2. Nurture you and your partner’s relationship during this life changing time. “Couples often think that the kids should always come first, but smart couples know that the best foundation for the family is their relationship. In protecting that, they can then best love their children.” – Bear Grylls. 3. Never stop playing and interacting with your children. David moved to Edinburgh about a year ago. The change was a fresh beginning in more ways than one. He realised a long-held aspiration and launched his own bootcamp. Running indoor and outdoor sessions, some specifically for parents with babies, he built up a strong health-focussed community. 1. Keep it real. Try to eat as many real natural whole foods as possible like fruit, vegetables, legumes, whole grains, nuts and seeds. This will give you all the key vitamins, minerals, phytonutrients, fibre and antioxidants you need to support maximum health to you and your baby. It will also make you feel awesome! 2. Keep moving. Try to have some kind of light to moderate exercise every day. Even if it is just a 15 minute walk. Regular exercise will boost your mood, energy and positive energy! Get outside in the fresh air and get those endorphins flowing! Regular exercise during pregnancy can improve your posture and decrease some common discomforts such as backaches and fatigue. There is evidence that physical activity may prevent gestational diabetes (diabetes that develops during pregnancy), relieve stress, and build more stamina needed for labor and delivery. 3. Dump the junk. Try to limit your exposure to all processed meats and convenience junk foods from you diet. These foods have no health benefits for you or your baby and play havoc with your hormones. They will leave you feeling tired and drained and can affect your mood. They’ll also leave you craving sugar and lead to you consuming more junk foods. If you don’t buy it you will not have it. The good news is it only take 2 weeks to break free from these foods and cravings when you cut them out. 4. I have to have one more tip! This is so important: Stay hydrated. Make sure you are drinking at least 2-3 litres of water a day, more if you can. Water is so important and most people go through their whole life being dehydrated without realising. Start your day with 500mls of water when you wake up and continue to have a large glass of water with every meal and snack. 1. Give yourself a break. Don’t force yourself into too rigid a schedule. When you do have plans, give yourself plenty of time for last minute nappy changes or feeds. Babies are very unpredictable! 2. Find your go-to café where you know you’ll be able to relax. Knowing you can get your buggy through the door will put your mind at rest. Feeling comfortable breastfeeding there is also a must. 3. Appreciate the time you have with your baby. Maternity leave goes so quickly. Get to know your local baby and toddler group during those early days. Let the person who runs it know you’re planning to come along, and ask them to introduce you to a few people. AC Maternity Services empowers new parents by supporting them with feeding, establishing routines, helping them to understand their babies’ needs and to develop their own parenting styles. Ashley and Claire are both maternity nurses and together with their team offer consultancy, day and night time support and 24-hour, full-time assistance. 1. Use books as a guide only and learn to read your baby. There’s no one-size-fits-all when it comes to babies; you’ll discover what works for you as a family. Also remember that parenthood is not a competition. Don’t get hung up on comparing your choices with other families’ choices. 2. Try to limit visitors in those first few days. Enjoy being a new family and tell them if and when you’d like company. When you are ready to see people, accept help and support where it’s offered. It’s exhausting being new parents, so if someone offers to help in any way, bite his or her hand off! Don’t feel you have to do it alone. 3. Celebrate the little things you accomplish. If you can get dressed before lunchtime or drink a hot cup of tea, yay for you, you’re smashing parenthood! Fertility & Pregnancy Ltd is a small team of 4 fantastic therapists, based in the centre of Edinburgh in Broughton Street Lane. They offer fertility reflexology, fertility massage, pregnancy and post-natal reflexology and pregnancy and post-natal massage. The team mainly works with couples who are trying to conceive (men can come for reflexology too). They work with lots of pregnant women too, along with post-natal clients; postpartum treatments are so valuable during this time. 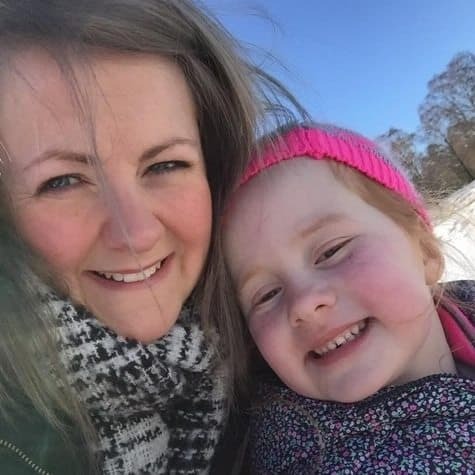 Georgie’s aim is to give women confidence in their own bodies and their amazing capabilities to birth and nurture a mini human. 1. Have reflexology and/or massage once a month throughout pregnancy to keep on top of common pregnancy niggles such as digestive issues, aches and pains, poor sleep patterns, etc. Both treatments are so beneficial for mum’s physical and mental wellbeing during pregnancy, and of course post-natally. 2. Don’t listen to other people’s birth horror stories when you’re pregnant! It’s their way of processing their experience but isn’t helpful for you. Each birth is individual to that person, and yours will be unique to you. Sunshine Yoga will bring sunshine to your soul. Stephanie discovered yoga in her late teens and found it to be a deeply relaxing stress-buster. She attended intensive Ashtanga and Vinyasa teacher training in India and began teaching in Edinburgh. 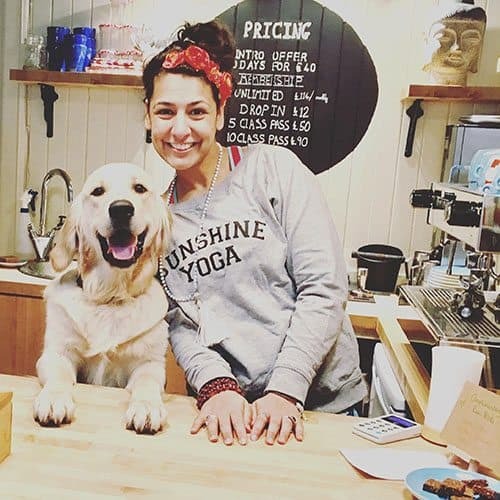 Gorgie’s Sunshine Yoga studio was launched in August 2016. A visit here is invaluable for parents and parents-to-be who need a moment of calm and relaxation. There’s a wide range of classes from a team of skilled teachers and beginners are always welcome. 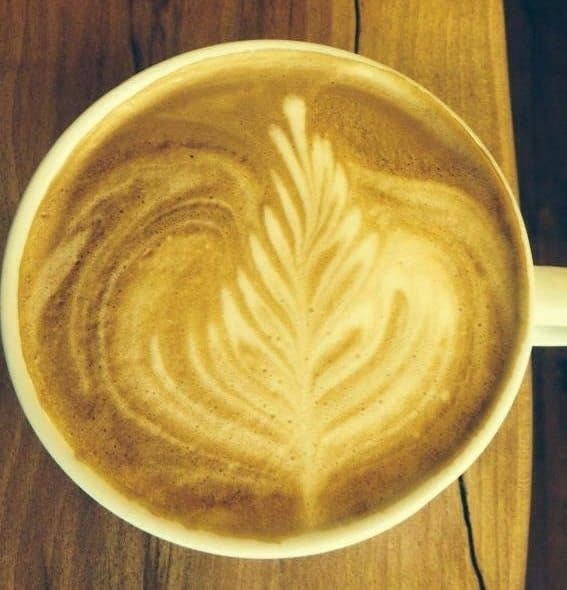 Sunshine Yoga’s Nama-stay café offers gorgeous hot drinks, raw cakes and smoothies. It’s the perfect spot for a chinwag. The children’s yoga classes give wee ones the space and freedom to move and have fun, while supporting them to learn, grow, and transform into physically and mentally strong adults. Parents are invited to chill in the peaceful café while their children practice their flow. Sunshine Yoga also runs supportive, nurturing weekend retreats for when you need a bit of me-time and mindfulness. 1. Take a few minutes to sit and breathe every day. Close your eyes and start by inhaling to a count of 4 and exhaling to a count of 4. Simply do this for as long as feels comfortable, it may take a few rounds to get into the rhythm. Then when you are ready rub your hands together quickly and place your lovely warm hands over your eyes. Take a really deep breath in through the nose and take a massive huge sigh out through the mouth. Relax. 2. Move the body gently. Sit on your hands and knees and find your neutral table top, hands underneath your shoulders, knees under your hips, with a long straight spine, slightly tucking your tailbone and pulling your belly in to avoid a curve in the lower back. On your next inhale, drop your belly down, lifting your gaze up and stretching through the front body. Relax your shoulders down and shine your heart forward, feeling a beautiful opening across the heartspace. As you breathe out, round the back and arch your spine like a cat. Just let yourself breathe in and out through these moments. It is wonderful for stretching the front body in a gentle and accessible way. This warms up the spine and the whole body. 3. Open up the shoulders every day to help you breath easy and carry the baby daily without hunching. Stand at the wall with the right side of body against the wall, bend your right elbow and place your hand on the wall at elbow height with your fingers pointing back. Move your right leg one step forward and bring your left hand onto right side of your chest. Begin to turn your chest toward the centre of the room. Stay here for 10 long and slow breaths and make sure to also do the other side! It feels so good and totally helps open the shoulder and the chest and is very helpful for creating a better posture. Nicola and Ruth are mums and midwives who strive to make the breastfeeding experience as positive as possible. The Breastfeeding Company gives both ante- and post-natal support for families in their own homes. They offer a listening ear, positivity, encouragement and realistic, research-based solutions. 1. Do what’s right for you and your baby. No two babies, mummies or families are the same so there are no hard and fast rules. Rather than seeing the wealth of advice and information out there as conflicting, hand pick the bits that work for you and keep the rest in your parenting tool kit for another day. 2. Ask for help! Having kids is awesome but it’s tough. We weren’t designed to do it alone and everyone struggles no matter what their social media profile says. Friends and family are usually happy to help and anyone who has had kids knows what it’s all about. Asking for a hand isn’t weak. 3. Put your own oxygen mask on first. You are no use to anyone else if you’re wiped out. It’s vital that you find time to look after yourself, and if you don’t have any time make sure you ask for help! Thomas Lynch is the co-founder of Dads Rock and Dads Rock Academy. 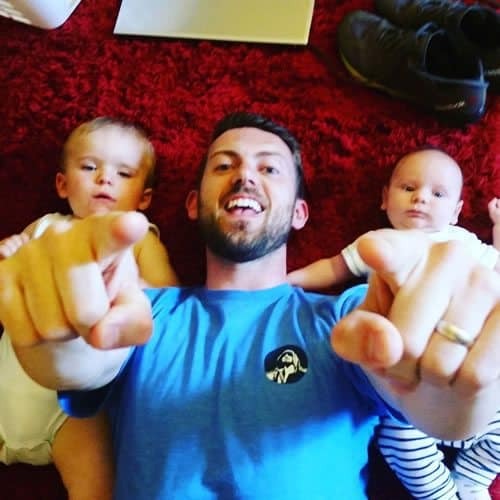 Dads Rock was started over five years ago when Thomas and David Marshall decided it was time for there to be a playgroup for dads and children in Edinburgh. They wanted to create a place that was fun, positive and that rocked! 1. Take it easy and be kind to yourself. No one is perfect, so try and relax and focus on the here and now. 2. Listen to yourself. You’re the daddy! No one else knows your children like you do. 3. Seek out help and support when you need it. Speak to a friend or find something that you and your child or children can do together to be part of something. We all need people around us we can trust and rely on. Carolyn attended baby swimming classes with her son and found them to be such a special bonding time. Launching Puddle Ducks South East Scotland allowed her to offer swimming classes to Edinburgh’s littlest, from newborns to 4 year olds. She prides herself on her instructors’ high standards and ability to nurture children’s confidence. 1. As tired as you may be, try to get out and meet other parents who are going through the same things. 2. Getting out of the house for some gentle exercise can do you the world of good. 3. Stop and enjoy every second of your special time with your new baby, as it all goes by so fast. Bambino Beats runs fun-filled, family-friendly, all singing, all dancing classes with a retro twist. Clare took over the business in 2016 with her partner Amy Wood. They run sessions throughout Edinburgh and the Lothians for children from birth up to age 3. 1. Buy as much as you can second hand, or borrow from friends and family. Your baby doesn’t need every new gadget on the market. Inevitably most of your baby gear will become ingrained with rice cake and banana anyway. 2. On that note, don’t worry about cleaning. Nobody cares. Don’t feel guilty if you eat ready meals and pasta for weeks either. This is absolutely okay! 3. Remember that lots of parents embellish the truth about their child’s development. All babies are unique and go through different phases. Life with infants is never as easy as some would have you believe. It helps to keep in mind that the fog lifts after the first 8 weeks of a new arrival. 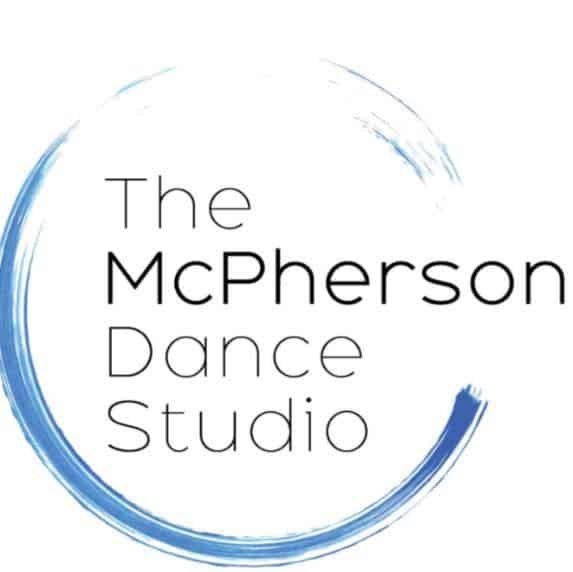 Lianne established the McPherson Dance Studio in August 2016, the result of a lifelong passion for the performing arts. Her studio offers a place for students to get fit, let their hair down, make new friends and share a love and passion for dance. 1. Embrace your child’s individuality. 2. Be supportive of your child’s hopes and dreams. 3. Offer support and encouragement. 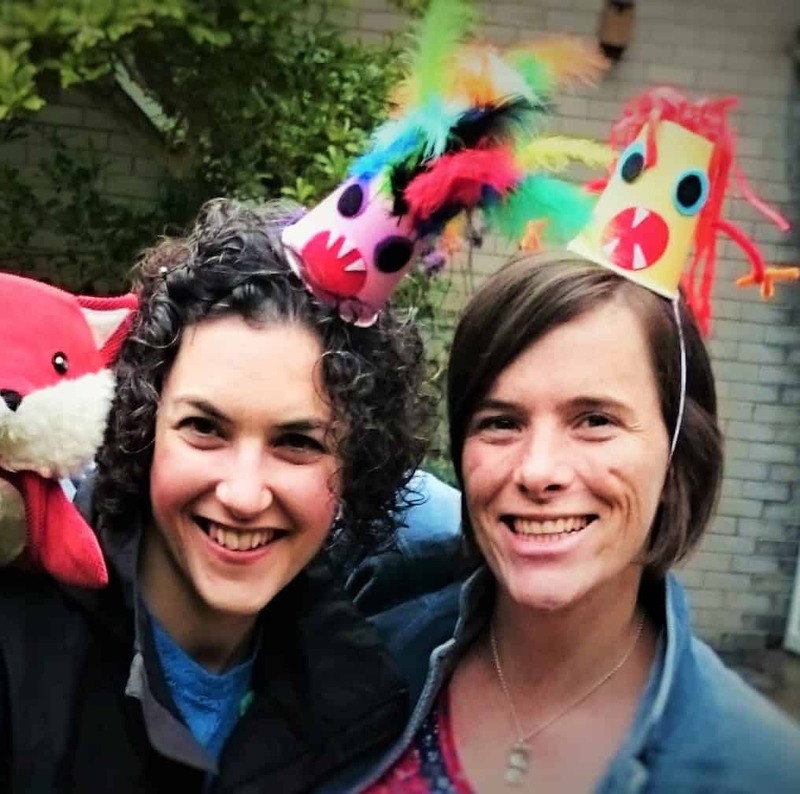 Kat and Leila have four children between them, and they love crafts, messy play and glitter. Little Crafters sessions were born from a desire to help parents to spend quality time with their children, while engaging their creative minds and developing their confidence. 1. Take baby steps and each day as it comes. Don’t look back if you’ve had a bad one, but cherish the good times. 2. Recycle! You’ll be amazed what you and your wee one can make out of egg boxes, toilet rolls, bottle lids and basically any scrap of paper. 3. Let the glitter into your life. We haven’t yet found a craft that isn’t enhanced by glitter! If you embrace the trace it leaves behind (oh yes, it may never leave your house), you will find that your kids find nothing more fascinating than sprinkling glitter onto sticky glue. 4. We had to include one more crafty top tip – fix pompoms with glue dots. If you’ve ever tried to glue on fluffy pompoms, you’ll know what we mean. Glue dots are a revelation! Vicky was inspired to become a chiropractor after receiving treatment for a back injury which nearly ended her career in artistic gymnastics. Since graduating with a Masters of Chiropractic, she has worked with elite artistic gymnasts providing both prehabilitative and rehabilitative care. 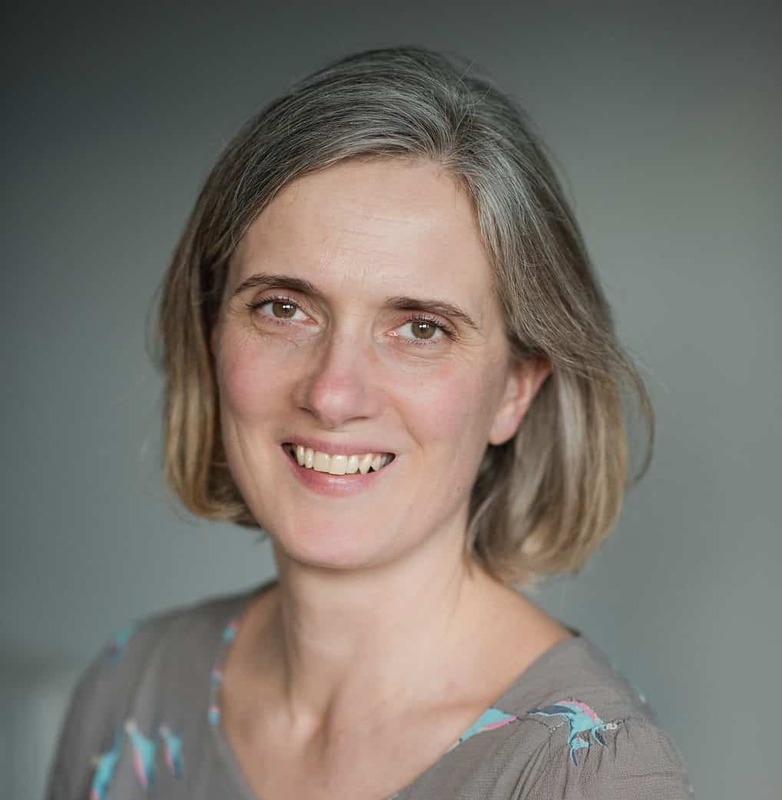 She developed a special interest in pre- and post-partum health and has attended a range of postgraduate pregnancy courses. She now specialises in treating pelvic and back pain both during and after pregnancy. 1. Commonly parents develop neck pain from constantly bending and twisting to see if the baby is feeding correctly. If you are finding that this is the case place a mirror in front of you which allows you to see what is going on without placing undue strain on your neck. 2. Ideally carry your baby using a sling/carrier or papoose, or if you have to carry them yourself keep the baby as close to your body as possible and try to avoid favouring one side. 3. Putting the baby into the car seat can cause back problems. To try and minimize this, hold your little one close to you as you move towards the vehicle. Keep your back straight and bend from your knees until you are as close to the car seat as possible. At this point you can reach out to put your baby in the seat. Edinburgh for Under Fives is the essential resource for parents and carers of young children living in and around Edinburgh. The book has been published for nearly 30 years by the National Childbirth Trust, and all of the content can be accessed online too. Written and edited by parents and carers of under 5s, it contains 1000+ reviews of family-friendly places to go, places to eat, indoor and outdoor activities, pre-school groups, classes and events. 1. Try to get to an NCT or NHS antenatal class before the birth of your baby. The information you’ll get is of course really useful, but the group of friends you’ll likely come away with is absolutely invaluable. I’m not sure what I would have done without my NCT friends. Two are now godmothers to my son. 2. Don’t be afraid or embarrassed to ask for help. When I had my first little boy, I thought that I needed to show everyone how well I was coping, when really I could have done with a bit of a hand. I didn’t realise that people were on stand-by hoping to be asked, while I was waiting for them to offer! So don’t be ashamed of telling people how you really feel. 3. Get out and about. Don’t exhaust yourself with a vast timetable of baby activities (unless you want to, of course! ), but try to see friends outside of the house or get some fresh air at least once a day. It can be a bit of a struggle to get out of the door at times, but a chat with another adult will do you the world of good! Check out Edinburgh for Under Fives to find places that are ideal for you and your baby to explore and enjoy. 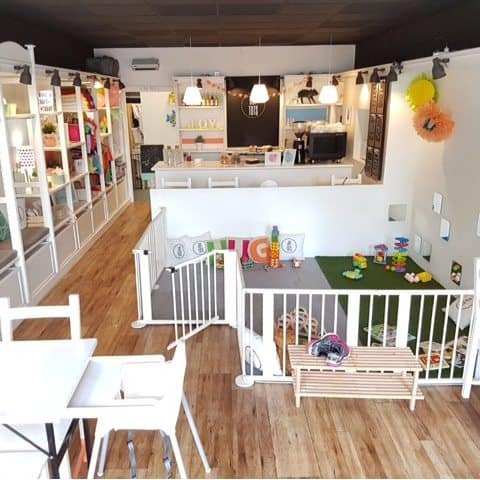 Joy Tots is wonderful, toddler-friendly café and gift shop with a gated play area and delicious cake and coffee. It offers a variety of different activities too, such as “Sing and Sign” and “Boogie Beat”, along with baby first aid classes and advice and support sessions for parents. They specialise in crafts and often offer drop-in creative activities for little ones. 1. Remember everything is a phase, good and bad. So embrace the good bits and don’t stress over the bad…Really, the time flies! 2. Having just one thing to do every day makes such a difference. Get out the house for a walk, a coffee or try a class. Having a sense of purpose other than keeping a tiny human safe and sound helps. 3.Build as many networks of new mums as you can. They will be the ones on WhatsApp at 4am with you. Use the support, be the support. 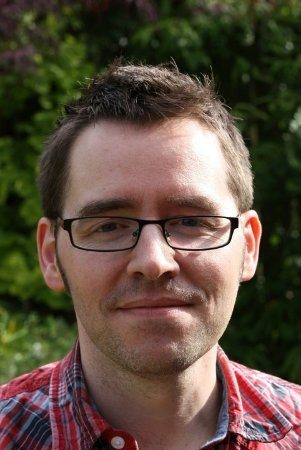 Adam offers osteopathic treatment to people of all ages and with a variety of ailments. 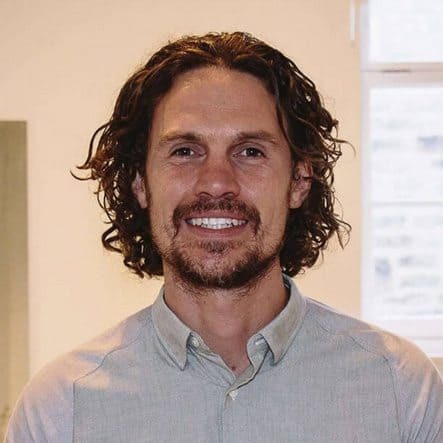 He works with expectant mums and also gives post natal care to restore the normal function of the body’s systems, bones, ligaments, muscles, visceral organs and uterus. 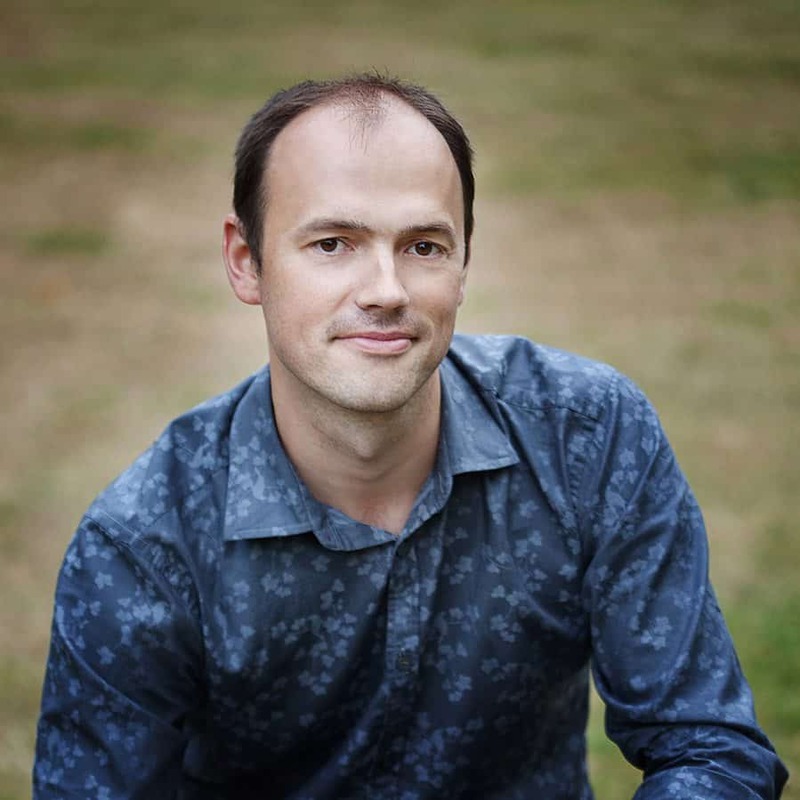 He also specialises in osteopathy for babies and children, which can be effective for relieving the underlying causes of reflux, difficulty feeding or sleeping, colic and ear infections, to name but a few. 1. The first tip is to prioritise physical and mental health in every way you can. The health of your baby, yourself and your relationship. Babies actually need very little in terms of stuff, but healthy happy parents are ideal. 2. See an osteopath! You do not have to be in pain during pregnancy. A little discomfort due to the body stretching & ligaments softening is normal but severe discomfort is not. Osteopathy can help with alignment pre, during and post pregnancy by helping structurally, increasing blood flow and improving nerve supply to help the body and that of the infant. 3. Rest and don’t feel bad for it. My wife was much more tired during pregnancy than she was with a new born. Rest, stretch, stay mobile and rest some more. 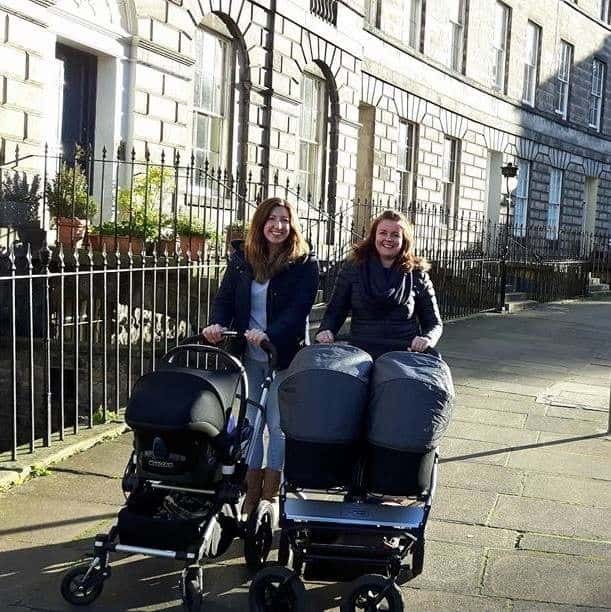 The ELTMC supports families who are expecting or parenting twins or more in Edinburgh and the Lothians. They’re affiliated to TAMBA (Twins and Multiple Births Association) which is the UK charity set up by parents of twins and multiples and professionals whose campaigns, research and support services help thousands to meet the unique challenges that multiple birth families face. Locally, the ELTMC provides antenatal classes, breastfeeding support, both face-to-face and online help, social events, baby and toddler groups, nearly new sales and club discounts. 1. We did a shout-out among our members on Facebook for tips, so here are their top 3. The first is to find your local twin club. They are a great source of support! 2. Do everything you can to make your life easier: accept help whenever it is offered, freeze meals in advance, shop online, if you’re bottle feeding prep the day’s bottles the night before, live off take-away if you have to, eat off paper plates… Whatever works for your family! 3. Be kind to yourself and forgive yourself when things don’t go as you wanted (which will happen frequently). Armands Sprogis is the owner of A-Fotografy. He works with families across Edinburgh to capture the most beautiful images of newborn babies, expectant mothers, families and weddings. He is passionate about capturing precious moments for generations to cherish and relive time after time. 1. For those of you who will be first time parents, please try to take a few courses. The NCT provides classes, as does the Pregnancy and Parents Centre in Edinburgh, which is awesome. If you have time, a first aid course will give you extra reassurance as well. These courses are great to build circle of friends who soon will be parents too. 2. Mums and dads, don’t forget to look after each other and support each other. After your baby arrives, remember that your lives don’t entirely revolve around your baby and you can pay attention elsewhere too. Your relationship is super important and without it, there can’t be a strong family. 3. Allocate time to play with your kids. Get some DIY kids’ crafting books or use Pinterest to find ideas for things that you can make together. Our kids are mad for crafting with recycled materials and we keep boxes and big bottles to make rockets or houses. Edinburgh is amazing for outdoor activities too, with plenty of parks and beaches. There’s also the National Museum and plenty more for those rainy days. We’d love to hear from you if you have a recommendation for a business or service that you’d like us to share with our clients. Please email to hello@a-fotografy.co.uk ​and we will consider to include your recommendations. 1. Find a great coffee shop and stick with it. My local barista knows my name, my kids' names, and actually half my life. When I was on maternity leave he would hold my baby whilst I drank my coffee or would colour with my older child. He was actually the sunshine in some of my days.2. On that note, don't be afraid to reach out and just start talking to someone. I met my best friend at a baby weigh in clinic. She told me how lonely she felt and I invited her to coffee. I now can't imagine life with out her. If she hadn't dared to share in that moment then who knows what would've happened. Just be honest with people and you'll be surprised at how many are actually feeling the same way.3. However I would also advocate avoiding people who don't make you feel good. I refer to one person I met as the 'judgey one' - she was constantly making critical comments and just made me feel a bit rubbish. Life is definitely too short to keep people like that around. Top romantic places in Edinburgh to propose.